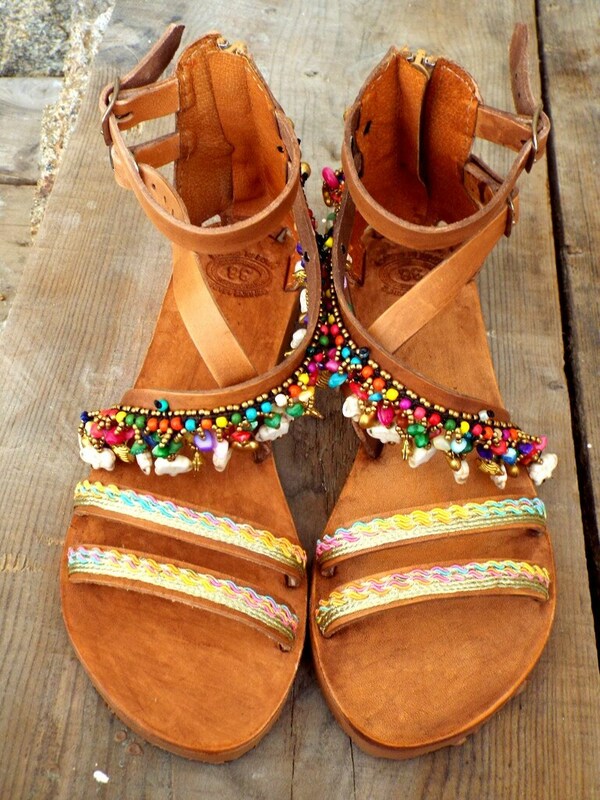 Leather Boho Sandals, "Shiva", brown summer sandals with lovely macrame, colorful beads, small ivory elephant and cute ethnic trim Greek Sandals, Handmade Sandals, , hippie sandals, Bohemian sandals. The back zip closure makes it a breeze to put on. Absolutely beautiful! Love them- just as pictured even better!